US honeybees are headed for extinction! US report that 31% of honeybee colonies have died in 2012. Seven years has seen US honeybee colonies dying from a combination of disease, decreasing food suppies, genetics, and pesticide increase use.Europe in a desperate measure to help save the honeybee from extinction has banned pesticide use for two years. The US Department of Agriculture has done nothing. 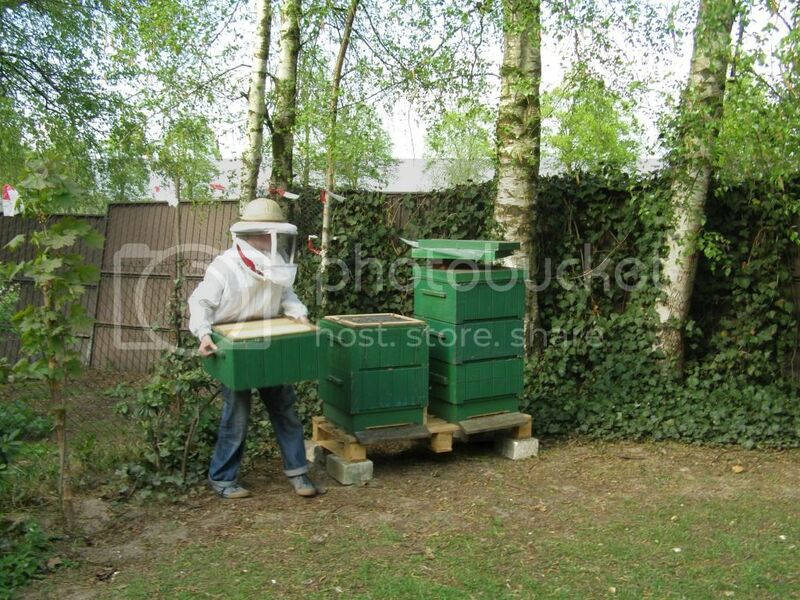 We are in the year 2013 and beekeepers are reporting a 45% death rate of their existing colonies. They are admitting the death toll is so severe that the beekeeping industry will not survive. China has already lost their bees and have had to resort to hand pollination which is long and tedious. Man can not do the same job as the great pollinator the honeybee. The honeybee is a very important ingredient in the agricultural business which is responsible for 20 billion dollar industry. Europe realized the crisis and banned the pesticides but the US is blind and refuses to do anything. The UN has reported world wide bee populations are disappearing. No solution has been found for seven years and we have watched year after year lower bee populations. Some say the Bees are an indicator of the world environment. I have already noticed organic beekeepers honey flying off the shelves in my store in the US. I'm giving the heads up to UFO Digest readers and other readers that honey supplies are going to drastically drop and get very expensive. Honey maybe in a few years be very precious. Honey lasts forever and never spoils if properly stored. Honey has been found in the tombs of Egypt still good after thousands of years. The Egyptians carved the sacred bee on their temples. They knew the importance of Pollination. The bee and honey were sacred to the Egyptians. I have often looked at the Pyramids and marveled at how a primitive society could create such a technological wonder. Ancient Egypt had great respect for nature and her processes and that is not the case of mankind today. The bees don't make any money when they pollinate flowers and fruits. I hope that the US realize that by not banning the pesticides they maybe destroying the bee industry and placing the bees in the US closer to extinction. Who knows Honey maybe as rare as gold and our children will never experience its sweetness. The Egyptians had it right. Bees were a sacred gift to mankind. People all over the world have heard of the plight of the honeybee and have become beekeepers to help save them..
NASA AND US SPACE PROGRAMS ARE AT THE MERCY OF PUTIN!